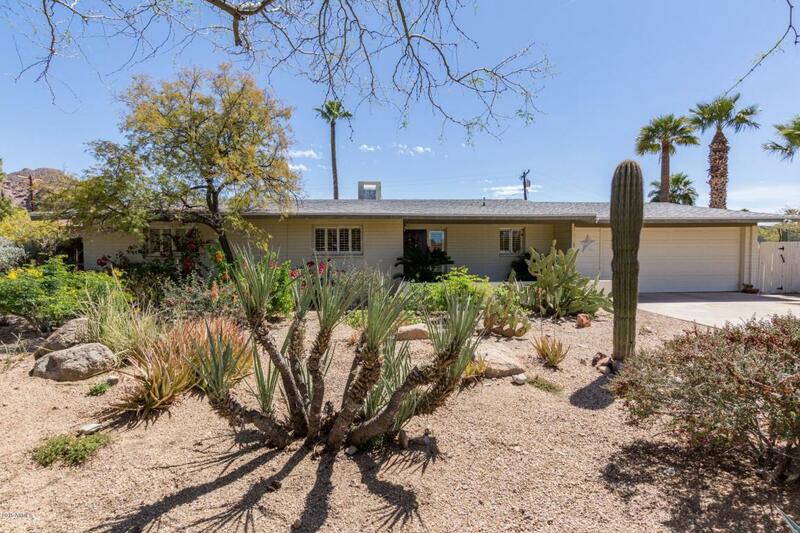 Charming ranch style home in Arcadia neighborhood. 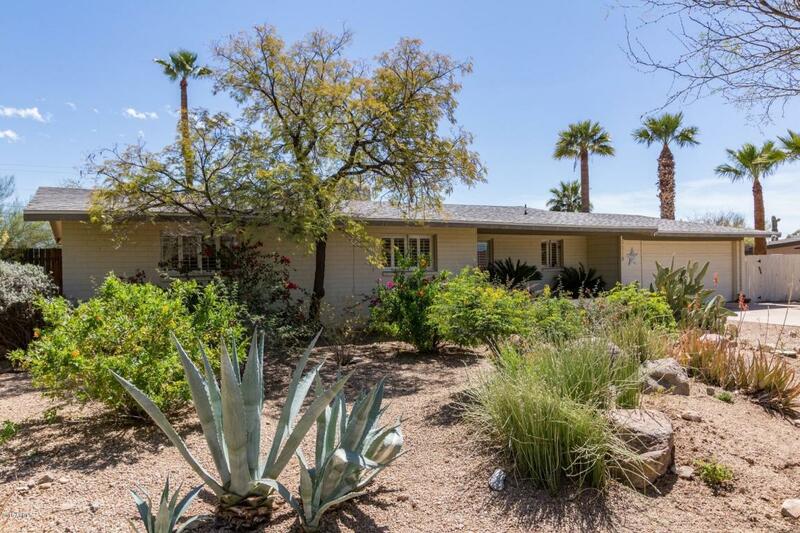 Situated in Marion Estates among designer new and restored million dollars homes. 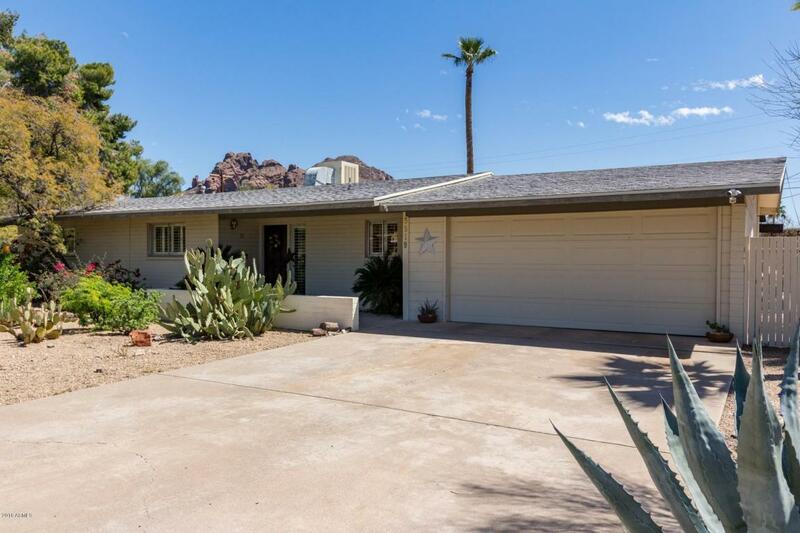 Gorgeous views of both Piestawa Peak and Camelback Mountain. Gorgeous Brazilian Cherry flooring, plantation shutters throughout, skylights, kitchen complete with a large eating area, double doors to patio plus a large laundry/mud room with access to patio/pool area. The huge backyard is perfect for relaxing & entertaining with a large pebbletec pool with sunshelf, cascading water feature, extended covered patio and ramada. Enjoy the stunning views of Camelback Mountain poolside! 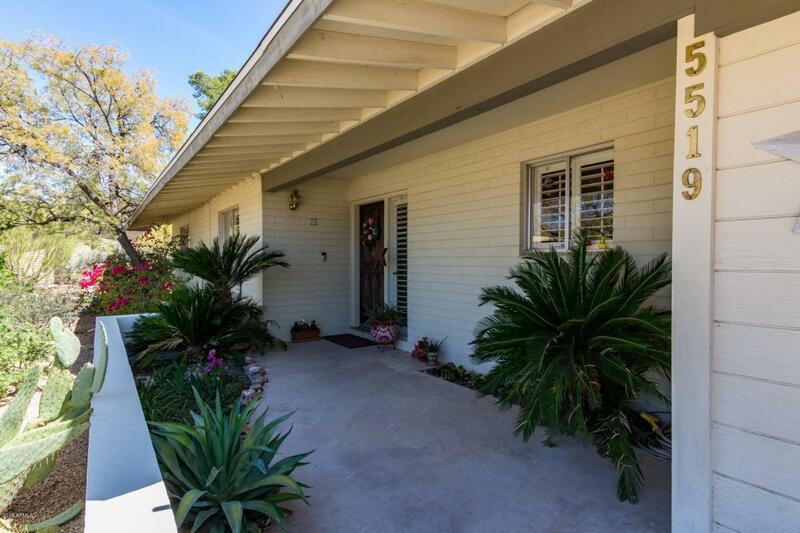 Great location near trendy restaurants, hiking and shopping.